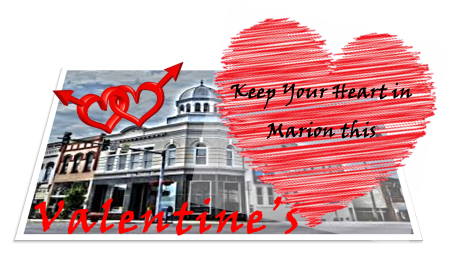 Keep Your Heart In Marion This Valentine's Day--Where are the Deals? Show your community a lot of love this Valentine's Day by visiting one of our local eateries, pubs, or music venues with your sweetheart! 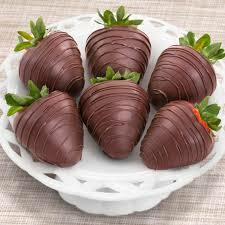 There is plenty of love in the air such as huge chocolate covered strawberries at Holly's Deli (makes a great gift-I already ordered mine), heart-shaped cheesecake from none other than Bruce's Fabulous Foods, or how about a limo ride to dinner from Boondock's Sports Bar & Grill! Check out our list of Valentine's Day specials and happenings for February 14th. You can click on the businesses name to get their information and contact to make reservations or place orders! Boondock's Sport's Bar & Grill--Ride in style this Valentine's Day to a special evening at Boondock's. They've teamed up with local business, It Can Be Arranged and Fire & Ice Jewelry, to offer a slam dunk package. For $99 you and your sweetie can be picked up in a limousine, receive a beautiful flower arrangement from It Can Be Arranged and enjoy a surf and turf dinner for two, two glasses of wine and be entered to win a drawing from Fire & Ice Jewelry! Bruce's Fabulous Foods--Known for their variety of cheesecakes, it's no surprise that Bruce is creating a special Valentine's Day, heart-shaped cheesecake! These mini, heart-shaped cakes are pink vanilla with chocolate cookie crust topped with fresh sliced strawberries and mini chocolate chips sprinkles on top! You'll be the heroine or hero when you come home with this sweet deal! Burrito Bros--There's nothing quite like Latin Love, and Burrito Brothers is serving up a sweet meal special just for couples! One gian Nacho Platter for two with all the fixings and drinks are included--all for only $1899. Food is truly the language of love here! Countryside Barbecue--The folks at Countryside know how to put on a spread! Dine in for two with a choice of Smoked Prime Rib or Half Smoked Chicken, baked potato, spring garden salad, yeast rolls, and homemade strawberry cobbler with ice cream. All this for $32.99. Eddie's Pizza & Pasta--What's more romantic than sharing that plate of spaghetti, a good bottle of Chianti and adoring glances? 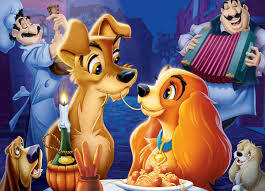 Lady and the Tramp had it right when they opted for Italian! For all star-struck lovers on Valentine's Day, take 10% off your total check. Mangia Bene! Fatz Cafe--Enjoy a couple's surf & turf special offering on the 14th at Fatz. Choose from 16 oz bone-in ribeye, 10 oz center-cut sirloin filet and on the surf side, choose from Calabash popcorn shrimp, blue crab stuffed shrimp, shrimp scampi, or blue crab stuffed mushrooms. This special two-person dinner ranges from $17.49-24.99 and comes with choice of sides. Add in their Double Layered Chocolate Cake with vanilla ice cream for $5.99. Select bottles of wine are only $15. Hook & Anchor--Reservations are not required but are highly suggested as this favorite place fills up rather quickly. Couples can enjoy a surf & turf offering of fried shrimp with either charbroiled pork chops or baby back ribs. The meal comes with a baked potato, roll and a trip to their generous salad bar. Don't forget dessert, a tasty, made-from-scratch mixed berry cobbler for two. Couples special deal for $29.99. Mi Pueblito--Treat your Amore to a south-of-the-border trip at Mi Pueblito where couples can dine for $20 and choose from their combo menu such as the Arroz Con Pollo or Fajitas plates. The deal comes with two soft drinks and dessert. Moondoggys Diner--She'll think you're swell when you take her to Marion's favorite 50s-themed diner. Couples special is $39.95 and includes New York strip steak, salad bar, beverages, and chocolate creme pie for dessert. Mr. Bob's Donuts--The best donut-maker in McDowell is cooking up special treats to gift to your loved one, your parent, or your kids. Who doesn't love Mr. Bob's Donuts. And let's face it, we normally don't need a holiday to justify a trip for our favorite sweet! The’re making 3-inch, heart-shaped chocolate covered donuts with colored sprinkles. $1.50 each. Refinery 13 Taproom--Pizza and Beer to your heart's content! Our friends at Refinery are serving FREE pizza starting at 6 p.m. until it's all gone. 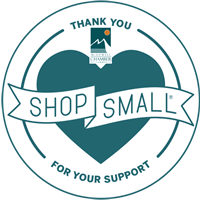 This Valentine's Day, keep your love local and support our independent business! Don't forget, check out our area pubs and music spots after dinner!